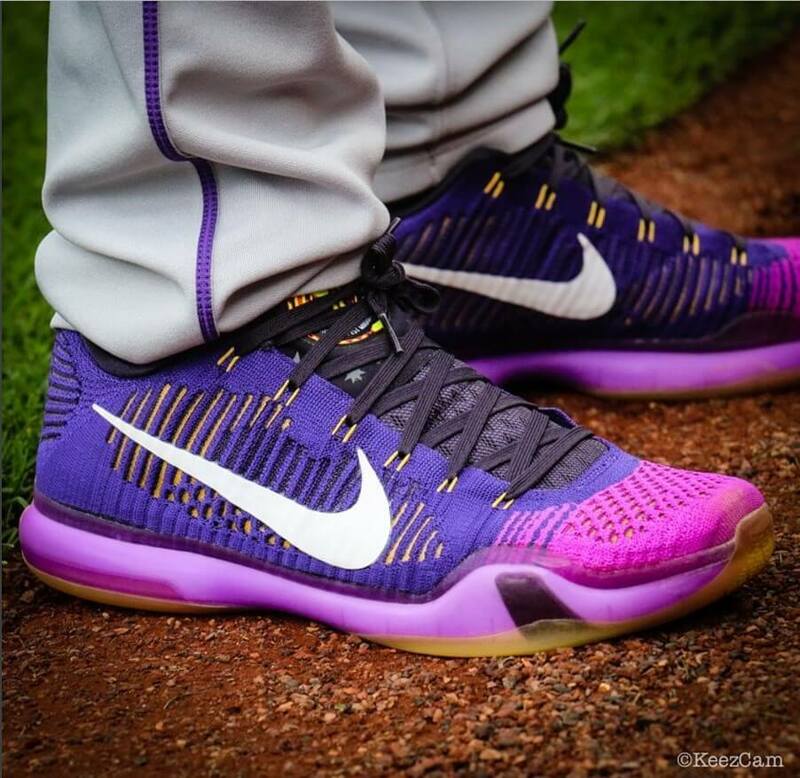 I don’t know about you, but seeing what these “new-age” Rockies bring to the table swag-wise is making me really like the color purple on shoes. This guy is no exception. Whether it be his cleats, batting gloves, or even his pregame turfs, you can always count on Nolan to bring the swag and confidence to the purple and black. You can shop Nolan’s exact Kobe colorway at the link. Limited sizes are left! Categories: Gear, Colorado Rockies, Turfs, Trainers/Turfs, Third Base, Nolan Arenado.